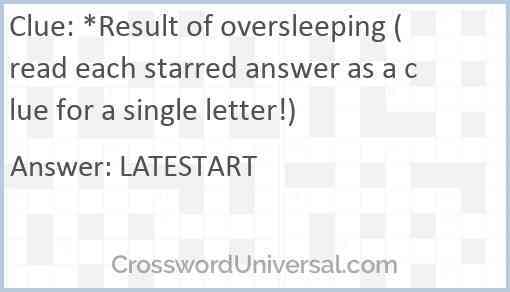 *Result of oversleeping (read each starred answer as a clue for a single letter!) is a crossword clue for which we have 1 possible answer in our database. This crossword clue was last seen on 14 February 2019!